“I think more than what the people have seen"
"I’ve been hurt over a longer period of time unnecessarily"
"and I think undeserved "
"I just hope to be able to put an end to that so that hopefully I could move on"
Those were the tearful statement of Rhian Ramos before she was cut short by her lawyer Atty. Lorna Kapunan. Saying that she hopes everybody would move on and even the media should move on. 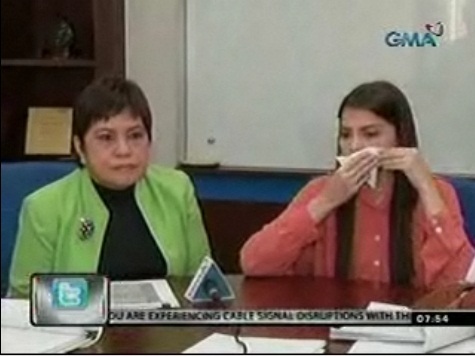 Rhian Ramos declined to answer questions on the issue from the media. But her lawyer said that will be done in due time. An official statement will come out very soon. We are not responsible for readers comments. Article comments are provided by readers and are the sole responsiblity of the one who made the comment. We do not actively monitor the posted messages and are not responsible for their content. We do not warrant the accuracy, completeness or usefulness of any information presented. The messages express the views of the readers, not necessarily the views of Travel on a Shoestring.